We define objectives and develop an action plan to meet them. We deliver an organized approach to fulfilling your benefits needs. Included in our strategic planning services is an evaluation of your plan with access, service, and price. As new trends and market factors emerge, we use strategic planning to shield your plan from becoming obsolete. We provide our clients with a high degree of knowledge and service. We meet with our clients on a regular basis to ensure carriers, coverage and costs are met. We work on your behalf to bring an unbiased perspective to all situations. We hire experienced and professional staff members who stay aware of the latest trends and information. 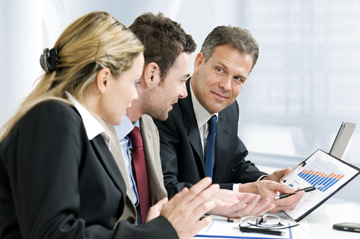 We also have the expertise to negotiate comprehensive, competitive benefits programs. We find the answers to any of your insurance, employee benefits, and human resources questions. The Capitol Group uses Leading-Edge technology. We provide our customers with the latest data analysis, legislative, communication, and human resources administration tools. We provide our agency staff and our clients with unsurpassed efficiency and access to information by using Internet-driven applications.